Splurging on a new bag or pair of shoes is supposed to feel rewarding, but all too often, spending a large chunk of your biweekly paycheck all in once place can be anxiety-inducing. Luckily, there's good news: Treat yourself to a new pair of Gucci loafers and you can resell them when you're ready to move on, totally guilt-free. Resale website The Real Real told Footwear News that the iconic Gucci loafer "holds its value especially well," noting that it can resell for up to 80% of its original value. Surprisingly, these designer shoes are holding value better than handbags by the same brands. So if the ability to resell your future splurges factors into what you actually decide to buy, keep Gucci's loafers in mind. Because once you're ready to retire them, you may just find someone else is just ready to jump on the trend. Shop a few of our favorite Gucci loafers below. 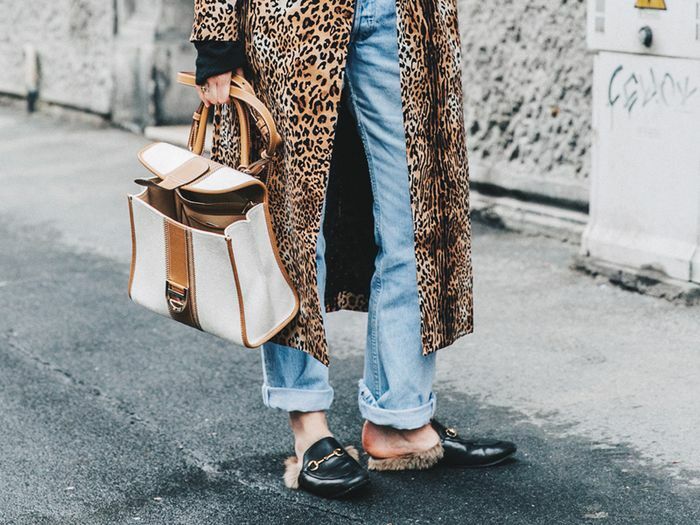 Are you a fan of Gucci's loafers? Let us know in the comments!